There is no doubt that living near renowned educational institutes is one of the main contributors to your decision of buying a house. 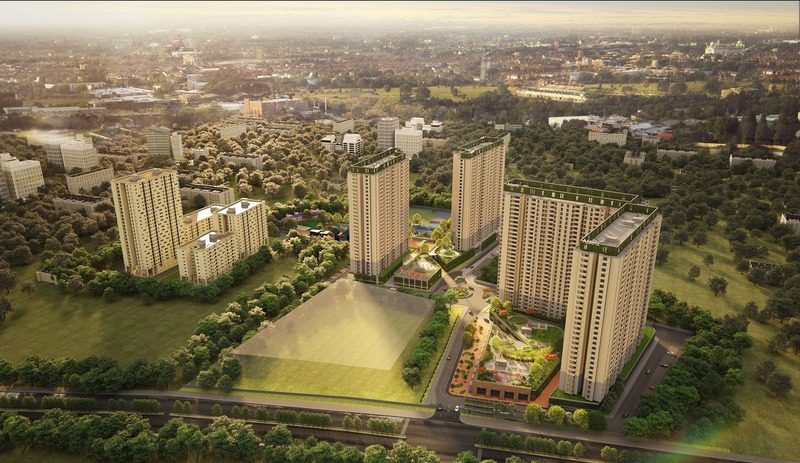 One such top locality in Bangalore that has grabbed the attention of first-time home buyers and seasoned investors for its thriving social infrastructure is Whitefield. This neighbourhood is dotted by a few of the most reputed schools and daycare centres, making it a hot investment option for many. Following are few of the top schools in Whitefield you can consider for your little one. If you are looking for a school that offers the twin benefit of a high-class education and a wide range of extra-curricular activities for your child, then The Deens Academy is where you need to head out to. This school is one of the top schools in Whitefield with an in-house swimming pool, thoughtfully-planned stadiums and a host of fun activities including football, skating, aerobics and drama clubs. Good manners and discipline are the binding factors of exceptional education and at Vydehi School of Excellence, they focus on just that. Known for their strong values, this school provides a holistic approach to education with a plethora of out-of-class activities that keep students well in touch with their creativity and imagination. It follows a CBSE curriculum and offers classes from kindergarten to the 9th grade. Higher secondary schools may play a huge role in molding your child’s future but true learning begins at the playschool they attend. The Bangalore School is one of the top schools in Whitefield that believes in learning through fun and play. It also focuses on getting your child accustomed to the regular school boards including ICSE and CBSE with equal importance given to academics, sports, and other extracurricular activities. Samskrithi Academy follows the Montessori way of learning, making it one of the top schools in Whitefield. This co-ed organisation offers education at the primary level and promotes learning through fun activities and real-life experiences. They are situated in Dodsworth Layout in Whitefield, surrounded by vibrant infrastructure and good connectivity. KLAY has become synonymous with high-quality child care and primary education. They have centres spread across the nation, with a strong presence in Bangalore. Their centre in Whitefield is one of the best institutes with utmost priority given to hygiene and care. All their learning programs are based on the three pillars of education: inquiry-based learning, multiple intelligence, and experiential learning. Glentree Academy is one of the top schools in Whitefield excelling in both global education and a spectacular range of co-curricular activities like theatre, martial arts, crafts, yoga, drama, music and much more. They also offer day-boarding facilities with a focus on discipline and regulation. They prepare the students for a brighter future by keeping their creative juices flowing while simultaneously improving their grades. Introduce your child to world-class education and learning by enrolling them in Indus Early Learning Centre – one of the top schools in Whitefield. At the IELC campus, you will be spoilt for choice with the host of global facilities provided, including sports grounds and well-designed classrooms that promote experiential learning. They also have an indoor and outdoor play area to make sure students have a good balance between study and play. Whitefield Global School is known for its premium education and prestigious reputation. It is one of the top schools in Whitefield that focuses on culture, talent, and sports as much as they focus on academics and grades. With over a decade of experience in providing global education and more than 2000 students, its vision is to create a benchmark in education and help students emerge as the leaders of tomorrow. Apart from exceptional education and creative learning, the school is where a child builds character and personality. Sri Ravi Shankar Vidya Mandir is one institute that abides by that. They provide a holistic approach to education with an emphasis on cognitive and spiritual learning. Children are taught through inspirational and fun activities, to keep them interested and engaged in the process. WeCare Learning is one of the leading playschool and daycare providers in the nation with 12 centers in Bangalore alone. Their tailor-made teaching programs ensure that children learn and grow at their own comfortable pace. They promote positive relationships within children and have a group of highly-qualified teachers, nurses, and attenders to take care of your precious little one. Looking for a school that focuses on making learning and growth a joyful experience for children? Then Chrysalis High should top your list! This school is affiliated to the CBSE curriculum and the magnificent 4-acre campus is packed with global amenities that every child deserves. From a semi-Olympic sized swimming pool to state-of-the-art tennis and basketball courts, they have it all. Located in Kadugodi Road, it is seamlessly accessible from all the areas of Whitefield. With so many reputed schools present all in one magnificent destination, there is no doubt that Whitfield is the best place to invest in. If you are looking for a property here, make sure you visit the most coveted ongoing project in Whitefield – Assetz Property Group’s Marq 2.0. From top-notch amenities to state-of-the-art facilities, these spectacular 2 BHK and 3 BHK apartments offer everything a family needs for a quintessential urban lifestyle. Additionally, Marq also has an in-campus school that imparts world-class education, while keeping long commutes, pollution and hectic traffic at bay. You can also check out our blogs on stunningly simple DIY ideas and top home décor tips that will transform your home.